It may be sunny and warm during the day, but it is still February in the High Sierra desert and planting anything outside is probably insane. Not that this will stop me. I did some research this weekend on creating hot beds. A hot bed is two thirds fresh or hot compost (horse manure is what I used) and one third bedding soil. By putting the hot compost on the bottom, it generates (hopefully) enough heat during the night to counteract the night time cold. My son and his friend did an amazing job digging a 20 foot long trench along the edge of our front lawn. 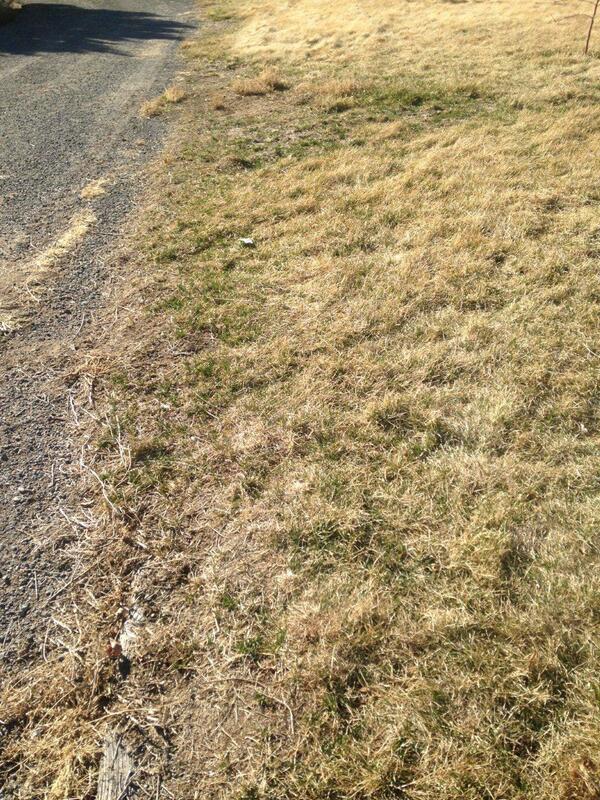 One of my other goals is to reduce useless lawn and turn it into edible landscaping. This is the first step! Then we got some 2x8x8 Douglas Fir and built two frames. We placed these on the ground and then dug down so that the hole is a total of 16 inches deep. We leveled them (sort of) and then went next door and got two big wheelbarrows full of fresh horse manure from my neighbor. We put that in the bottom of the hole and packed it down somewhat (not too tightly) to help the anaerobic process that actually generates the heat. Then we put back the top soil back in. 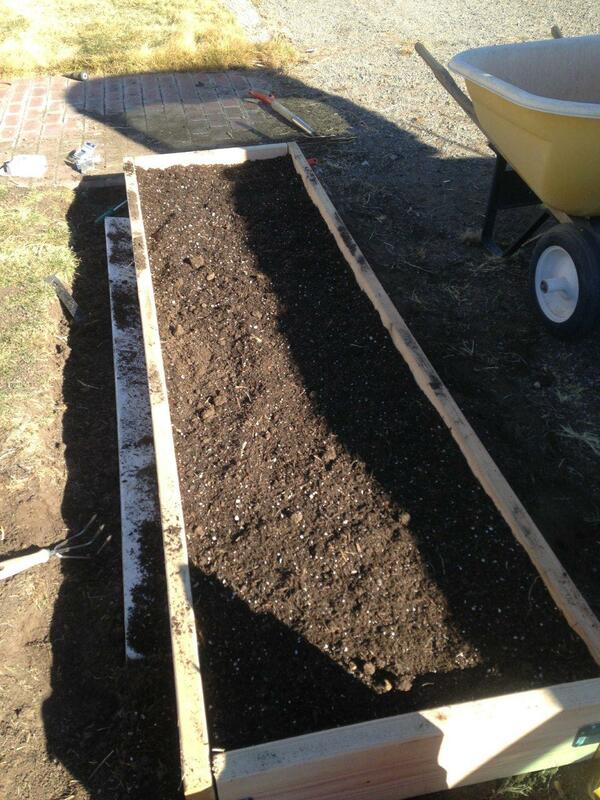 Then I added 2 inches of super organic raised bed planting soil from my local nursery. It is black and rich and has perlite which helps to hold in the moisture – very necessary here in Nevada. The first bed looks amazing. I’m going to let it sit for a few days to heat up, covered with black plastic to get things going. Sometime this week we’ll finish digging the second bed and filling it. I’d like to make five beds altogether, staggering the plantings by about two weeks to give a fairly continuous supply of potatoes. I’ll start checking the temperature every morning to see how the beds compare to the ambient temperature. Once we plant, I’ll cover them with burlap and row cover and clear plastic. That should provide enough light and air but keep them warm. 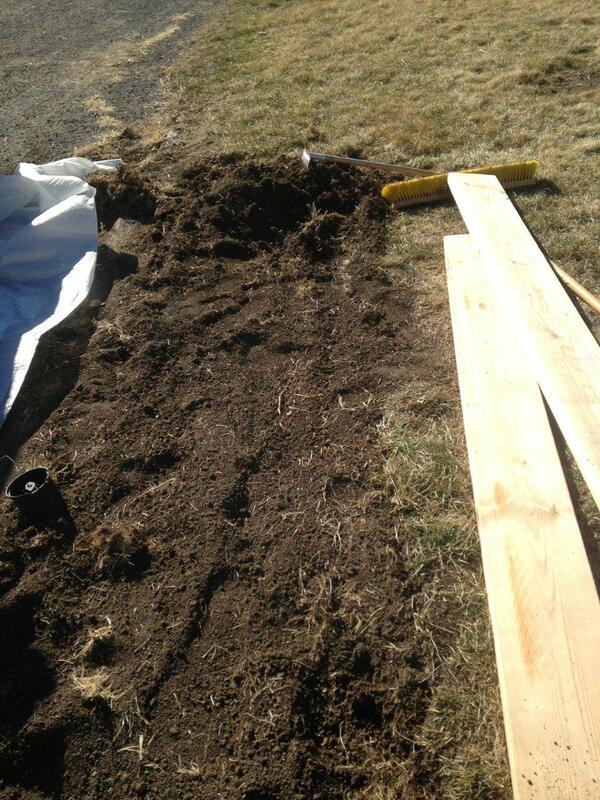 And if not, it was great exercise and the beds will be ready for spring re-planting. 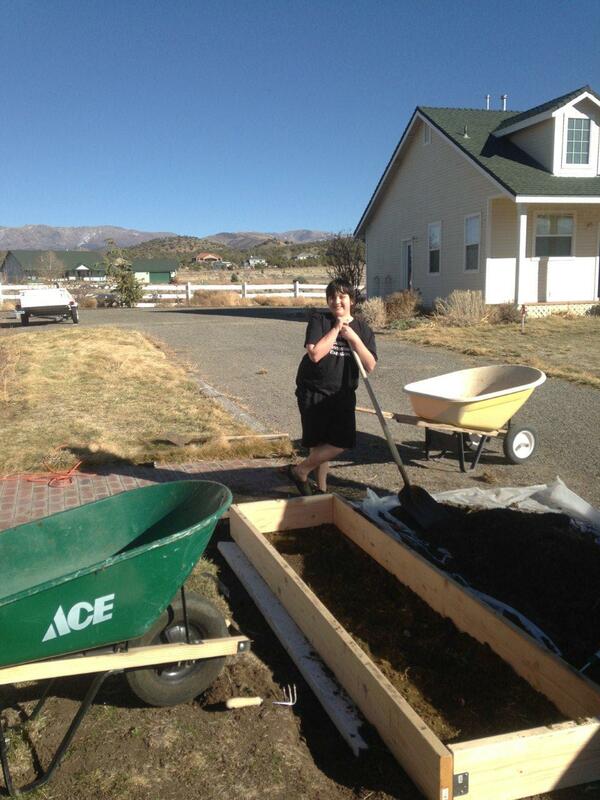 Here are some great pictures of my son helping with the beds and the before, during and after pictures.